PtAgFe/C catalysts with different atomic ratios were synthesized by wet impregnation reduction method in order to be used in the catalysis of the oxygen reduction reaction (ORR) in the polymer electrolyte membrane (PEM) fuel cell. Physical characterization studies showed that the surface areas of the catalysts varied between 162 and 181 m2/g and the pore textures were mainly macroporous. The mean particle sizes were as small as 3.01 nm, which is for Pt6AgFe/C, but increased as the Pt atomic ratio decreased. The highest electrochemically active area was obtained as 557 cm2/mg from the Pt6AgFe/C which has the highest Pt atomic ratio. However, mass activities were higher in the catalysts with lesser Pt content. Finally, catalysts were tested in a home-made PEM single cell by preparing membrane electrode assemblies (MEA). Pt6AgFe/C had comparable performance to the commercial Pt/C catalyst when Pt content was taken into consideration. Results show that PtAgFe/C ternary catalysts can be used as a cost effective alternative in PEM fuel cells. Tseng, C., Lo, S., Lo, S. and Chu, P., “Characterization of Pt-Cu binary catalysts for oxygen reduction for fuel cell applications” Materials Chemistry and Physics, 100: 385-390, (2006). Antolini, E., Salgado, J. and Gonzales E., “The stability of Pt-M (M = First row transition metal) alloy catalysts and its effect on the activity in low-temperature fuel cells: A literature review and tests on a Pt-Co catalyst”, Journal of Power Sources, 160: 957-968, (2006). Li, X., Colon-Mercado, H., Wu, G., Lee, J. and Popov B., “Development of method for synthesis of Pt–Co cathode catalysts for PEM fuel cells”, Electrochemical and Solid State Letters, 10: B201-B205, (2007). Kadirgan, F., Kannan, A., Atilan, T., Beyhan, S., Ozenler, S., Suzer, S. and Yörür, A., “Carbon supported nano-sized Pt–Pd and Pt–Co electrocatalysts for proton exchange membrane fuel cells”, International Journal of Hydrogen Energy, 34: 9450-9460, (2009). Thanasilp, S. and Hunsom, M., “Effect of Pt: Pd atomic ratio in PtePd/C electrocatalyst-coated membrane on the electrocatalytic activity of ORR in PEM fuel cells”, Renewable Energy, 36: 1795-1801, (2011). Hodnik, N., Bele, M., Recnik, A., Logar, N., Gaberscek, M. and Hocevar, S., “Enhanced oxygen reduction and methanol oxidation reaction activities of partially ordered PtCu nanoparticles”, Energy Procedia, 29: 208-215, (2012). Ammam, M. and Easton, E. B., “Oxygen reduction activity of binary PtMn/C, ternary PtMnX/C (X = Fe, Co, Ni, Cu, Mo and, Sn) and quaternary PtMnCuX/C (X = Fe, Co, Ni, and and PtMnMoX/C (X = Fe, Co, Ni, Cu and Sn) alloy catalysts”, Journal of Power Sources, 236: 311-320, (2013). Ou, L., “The origin of enhanced electrocatalytic activity of Pt–M (M = Fe, Co, Ni, Cu, and W) alloys in PEM fuel cell cathodes: A DFT computational study”, Computational and Theoretical Chemistry, 1048: 69-76, (2014). Bezerra, C., Zhang, L., Liu, H., Lee, K., Marques, A., Marques, E. and Wang H., “A review of heat-treatment effects on activity and stability of PEM fuel cell catalysts for oxygen reduction reaction”, Journal of Power Sources, 173: 891-908, (2007). Antolini, E., Salgado, J., Da Silva, R. and Gonzales E., “Preparation of carbon supported binary Pt–M alloy catalysts (M = first row transition metals) by low/medium temperature methods”, Materials Chemistry and Physics, 101: 395–403, (2007). Xiong, L. and Manthiram, A., “Nanostructured Pt–M/C (M = Fe and Co) catalysts prepared by a microemulsion method for oxygen reduction in proton exchange membrane fuel cells”, Electrochimica Acta, 50: 2323–2329, (2005). Antolini, E., “Platinum-based ternary catalysts for low temperature fuel cells: Part I. Preparation methods and structural characteristics”, Applied Catalysis B: Environmental, 74: 324–336, (2007). Antolini, E., “Platinum-based ternary catalysts for low temperature fuel cells: Part II. Electrochemical properties”, Applied Catalysis B: Environmental, 74: 337–350, (2007). Neyerlin, K., Srivastava, R., Yu, C. and Strasser, P., “Electrochemical activity and stability of dealloyed Pt-Cu and Pt-Cu-Co electrocatalysts for the oxygen reduction reaction”, Journal of Power Sources, 186: 261-267, (2009). Fang, B., Wanjala, B., Yin, J., Loukrakpam, R., Luo, J., Hu, X., Last, J. and Zhong, C., “Electrocatalytic performance of Pt-based trimetallic alloy nanoparticle catalysts in proton exchange membrane fuel cells”, International Journal of Hydrogen Energy, 37: 4627-4632, (2012). Li, B. and Chan, S., “PtFeNi tri-metallic alloy nanoparticles as electrocatalyst for oxygen reduction reaction in proton exchange membrane fuel cells with ultra-low Pt loading”, International Journal of Hydrogen Energy, 38: 3338-3345, (2013). Zhao, J. and Manthiram, A., “Preleached Pd-Pt-Ni and binary Pd-Pt electrocatalysts for oxygen reduction reaction in proton exchange membrane fuel cells”, Applied Catalysis B: Environmental, 101: 660-668, (2011). Nguyen, M., Wakabayashi, R., Yang, M., Abruna, H. and DiSalvo, F., “Synthesis of carbon supported ordered tetragonal pseudo-ternary Pt2M′M″ (M = Fe, Co, Ni) nanoparticles and their activity for oxygen reduction reaction”, Journal of Power Sources, 280: 459-466, (2015). Mohanraju, K. and Cindrella, L., “One-pot surfactant-free synthesis of high surface area ternary alloys, PtMCo/C (M = Cr, Mn, Fe, Ni, Cu) with enhanced electrocatalytic activity and durability for PEM fuel cell application”, International Journal of Hydrogen Energy, 41: 9320-9331, (2016). Erşan, K., Ar, İ. and Tükek, S., “Effect of humidification of gases on first home constructed PEM fuel cell stack”, GU Journal of Science, 23: 61-69, (2010). Yu, J., “Highly efficient Pt50Ru50 electrocatalysts supported by porous carbons with ordered uniform controllable pores”, Reviews on Advanced Materials Science, 10: 347–352, (2005). Xu, Z., Zhang, H., Zhong, H., Lu, Q., Wang, Y. and Su, D., “Effect of particle size on the activity and durability of the Pt/C electrocatalyst for proton exchange membrane fuel cells”, Applied Catalysis B: Environmetal, 111-112: 264-270, (2012). Koh, S., Yu, C., Mani, P., Srivastava, R. and Strasser, P., “Activity of ordered and disordered Pt-Co alloy phases for the electroreduction of oxygen in catalysts with multiple coexisting phases”, Journal of Power Sources, 172: 50–56, (2007). Zhan, D., Velmurugan, J. and Mirkin, M., “Adsorption/desorption of hydrogen on Pt nanoelectrodes: Evindence of surface diffusion and spillover”, Journal of the American Chemical Society, 131: 14756-14760, (2009). Li, W., Zhou, W., Li, H., Zhou, Z., Zhou, B., Sun, G. and Xin, Q., “Nano-structured Pt-Fe/C as a cathode catalyst in direct methanol fuel cell”, Electrochimica Acta, 49: 1045–1055, (2004). Mani, P., Srivastava, R., and Strasser, P., “Dealloyed binary PtM3 (M = Cu, Co, Ni) and ternary PtNi3M (M = Cu, Co, Fe, Cr) electrocatalysts for the oxygen reduction reaction: Performance in polymer electrolyte membrane fuel cells”, Journal of Power Sources, 196: 666-673, (2011). Chaparro, A., Martin, A., Folgado, M., Gallardo, B. and Daza, L., “Comparative analysis of the electroactive area of Pt/C PEMFC electrodes in liquid and solid polymer contact by underpotential hydrogen adsorption/desorption”, International Journal of Hydrogen Energy, 34: 4838–4846, (2009). ISNAD Güldür, Çiğdem , Güneş, Silver . "Performance Evaluation of PtAgFe/C as a Cathode Catalyst in PEM Fuel Cell". 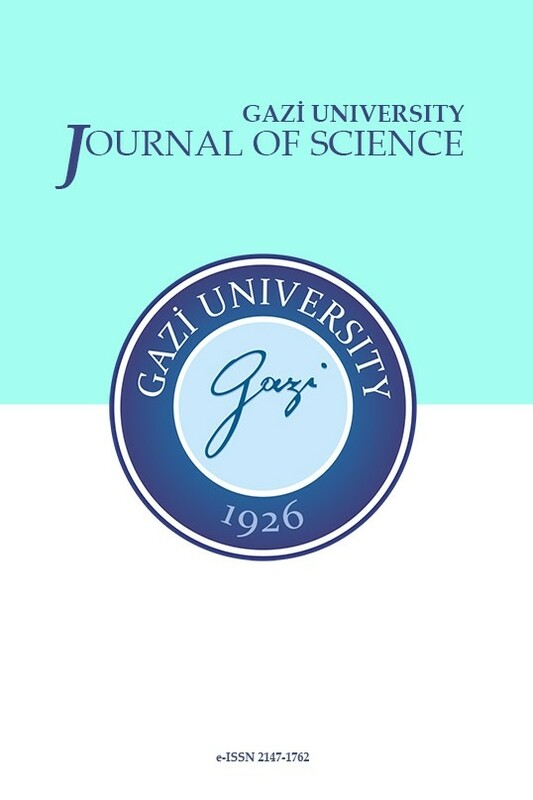 GAZI UNIVERSITY JOURNAL OF SCIENCE 31 / 1 (March 2018): 42-51.